“Hmm, basketball and phones are her latest interests,” was my response. Sarah asked for my budget, which I stated with a slight hesitation. She then suggested that I pick up tickets for the upcoming season or a voucher for iPhone X, if I was rethinking budgets (oops! that’s way out of any budget!). I went with the former and Sarah confirmed that the tickets would be delivered directly to Khushi’s address. Impressed. But, why am I talking about this? Isn’t this regular? The difference is that Sarah is a ‘bot’, she is enabled by Artificial Intelligence (AI) and has been ‘learning’ based on my interactions with her. The bot will further communicate with the order management system, and the order would be processed. Being a tech enthusiast, I did get thinking about how all of this is going to impact our future. Clearly, AI is here to stay and clearly modern supply chains are going to be completely disrupted by a gamut of AI solutions! How will AI impact the Supply Chain? AI solutions imitate human behavior. In other words, AI solutions can be used to make decisions, just like humans, and “learn” (just like humans) over a period of time. Often, human decisions are taken based on many factors such as using existing data and prior experience (intuition anyone?). Eventually, AI solutions should ideally be able to do the same. While the Digital Supply Chain (DSC) is bombarded with real-time data coming in from various sources – social, internet, sensors and enterprise data – all of this data is useless unless it can be used to lower costs, increase revenues and improve customer delight. AI solutions can be used to do all of these, often with better accuracy and efficiency than humans. They may not yet (or never!) replace humans completely, but with every new advance in technology, we are surely getting into a living side-by-side. What kind of transformation are we looking at with AI? Supply Chain Management is critical to businesses. The utopian scenario is one in which planning, order management, procurement, manufacturing, warehousing, inventory and delivery all seamlessly work together to deliver unmatched customer service. This, or at least part of it, will be possible due to AI solutions. In the last couple of years, supply chains have been increasingly using AI solutions for forecasting and demand management. However, this is only the tip of the iceberg. According to the SCM World Future of Supply Chain Surveys, 2016, as many as 47% of supply chain leaders expect that AI / Machine Learning solutions are going to impact Supply Chain strategies. Complete automation of the Supply Chain: Right from Demand, to Work Order, Production and Delivery, the Supply Chain works as one smooth chain. 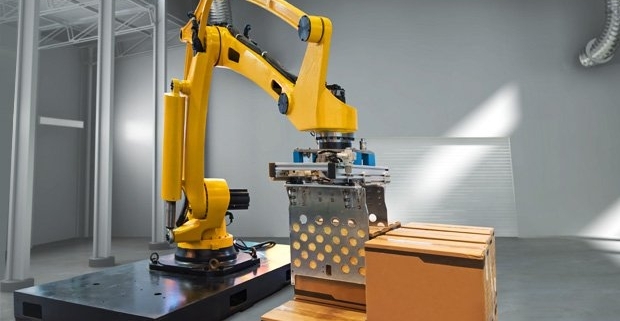 Companies have already started to automate complete production lines using AI, which means a round-the-clock production without human intervention or supervision. Smart Warehouses: Increasingly, robots are being looked at to supplement and, eventually, replace humans in warehouses. For example, forklifts are already being replaced by robots that can handle heavy loads, while “sensing” obstructions. Industrial robots can be trained by humans to grasp objects and move them around. 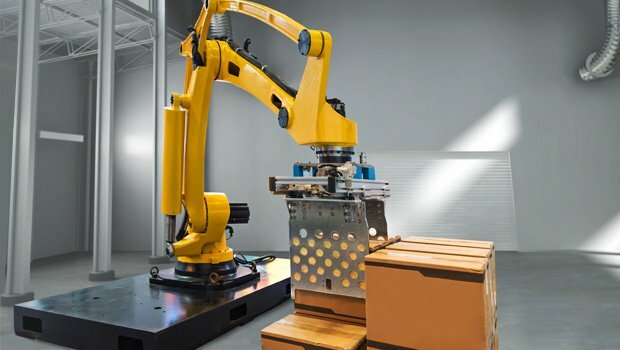 As technology improves and robots become more sophisticated, warehouses may even become the training ground for completely running everything autonomously! Better contingency management and fewer disruptions:Weather conditions such as hurricanes, flight disruptions can all lead to trouble in logistics. For example, if you know that a hurricane is expected in Florida, you would reroute your freight or postpone the delivery. AI solutions can help raise red flags and help all stakeholders manage disruptions better. Revolutionizing logistics and transportation: Customer demands, such as same-day delivery, decentralized production and personalization, will force logistics providers to be agile and flexible. Driverless trucks are being prototyped (an Uber-owned company even delivered 50 beer cans (!) using a driverless truck recently) and unmanned aerial vehicles (UAV) are being looked at for last-mile deliveries. While these may be the future, the vast amount of data available can be used to simplify distribution networks and optimize routes using AI solutions and predictive analytics. Automated Procurement guidance and Virtual Personal Assistants: Besides deploying AI-based applications in areas such as spend analysis and contract analysis, according to a Gartner report dated May 2017, it is expected that Cognitive Procurement Advisors (CPA) will be used to provide recommendations and advice on risk management, compliance, supplier management, etc. Virtual Personal Assistants (VPA) can improve user experience, and provide guidance to the right procurement tools, thereby increasing cost savings and efficiency. Improved customer and supplier management: Customer queries can be answered by AI solutions. You can have an AI-based voice response system, which has knowledge of your product, which is automated to answer typical customer queries, both for customers and suppliers. Next-gen Demand Management: Real-time visibility into business risks, opportunities, supply status, customer behavior, and sales insights can be used to create integrated AI-based demand management systems. Near real-time big data, such as from IoT devices and sensors, will make it possible to have an agile demand platform. At Bristlecone Labs, we have been working with cutting-edge technologies that will impact the Supply Chain. One of our recent innovations is our first Monitor Bot named Hari, which enables Supply Chain teams to remotely tour, monitor, and engage with factories and facilities from a safe and convenient location. More importantly, Hari is integrated with Bristlecone’s NEO™ Platform and we learn with Hari’s every move – leveraging voice controls, remote controls, two way audio-video streaming, IoE, blockchain and automation – Hari and Bristlecone NEO™ empower Supply Chains professional with AI capabilities to execute an anti-fragile Supply Chain. We expect that a Digital Supply Chain of the future will be a Cognitive Supply Chain – which is intelligent, self-optimizing and resilient – thereby becoming anti-fragile and thriving in the world of constant chaos.